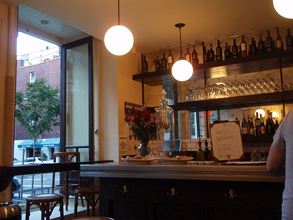 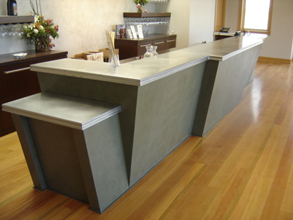 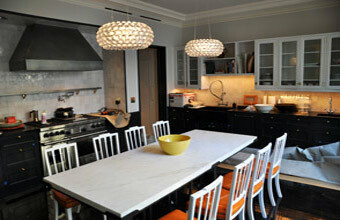 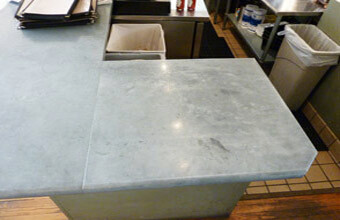 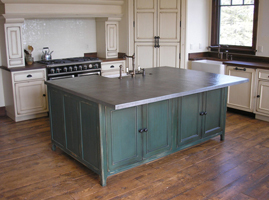 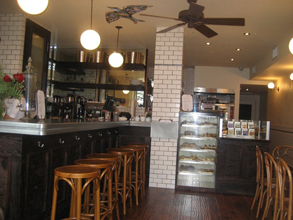 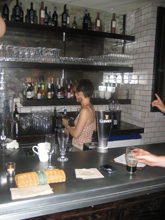 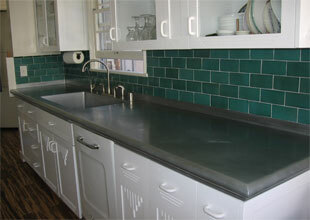 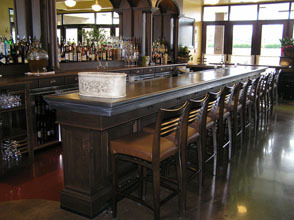 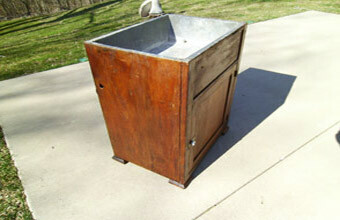 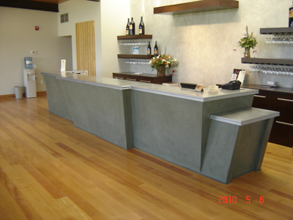 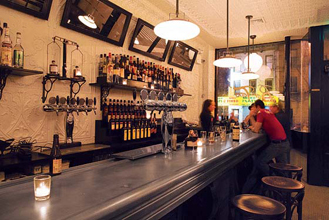 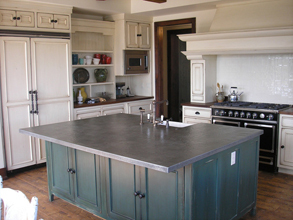 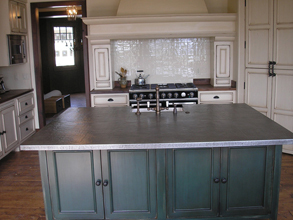 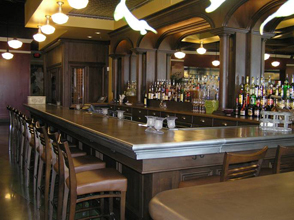 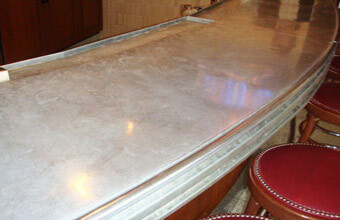 Custom Countertops - #4191 | Handcrafted Metal Inc. 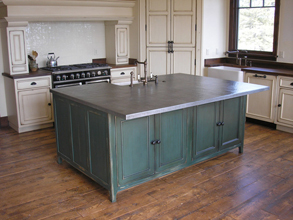 The large expanse of this island transforms the Mont St. Michael edges from focal point to accent. 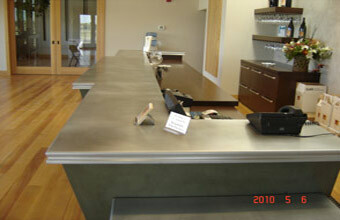 The large size required a flat weld down the full length of the island, which is completely invisible in these photos. 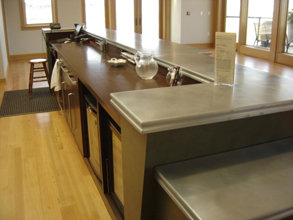 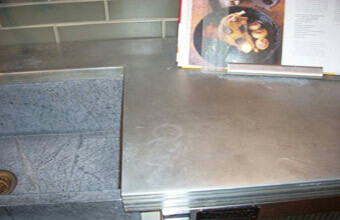 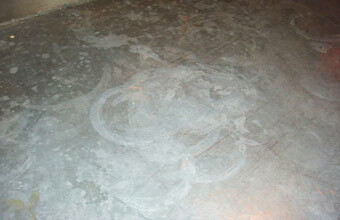 Our hand rubbed feathered rub back provides interest on the smooth expanse of zinc. 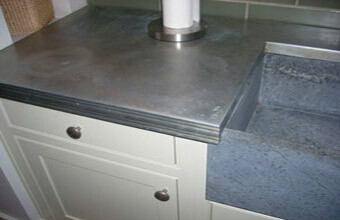 Smooth 16 gauge welded zinc, natural finish with wax.